Show off your skills on the mike at any of these wonderful New York karaoke bars. For a perfect night out on the town, do not pass up any of these karaoke bars in New York. One of the Most Beloved Karaoke Bars in New York! One of the most well known and aged karaoke bars in NYC, Sing Sing Karaoke is the perfect hangout spot for you and your friends. When you swing by Sing Sing Karaoke, you're given a selection of approximately 2,000 songs! The website even allows you to build your playlist ahead of time. If you'd like to reserve a karaoke room ahead of time, you may do so on the website by filling out a brief information form. The bar is open everyday from 1 P.M. to 4 A.M. For your convenience, there's also a Sing Sing location on 81 Avenue A in NYC. Definitely A Place To Hang-out With Your Buddies! Make Karaoke Boho your place to hang-out with your group of friends, they offer nothing but an excellent service and a great selection of songs, over 80,000 of songs to choose from on their karaoke machine and it gets updated monthly, Also their bars offers some of the best drinks that you will encounter, with a lot to choose from, you will definitely enjoy your stay at this excellent New York karaoke bar. 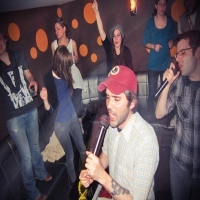 Let Karaoke Boho be your location of choice in hanging-out with your friends or a group together, you will be sure that you will have a great time. Have Fun Here At U2 Karaoke! 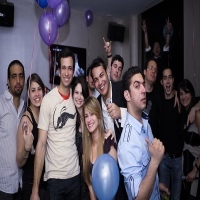 Come to U2 Karaoke and enjoy their excellent service where you will have a great time with your friends or family. A karaoke bar here in New York that has a large collection of songs and is kept updated with the latest songs, you will definitely enjoy singing with your friends here at U2 Karaoke. It opens every day of the week with its operation hours at 2 Am- 4 Am on Monday to Thursday and Sunday, 2 Am- 6 Am on Fridays and Saturdays. You will definitely enjoy it here, the place has a lot of great thing that it can offer to you where it offers good food and good beverage. So come along with your friends and enjoy the best things that U2 Karaoke can offer to you. Make your reservations today and call them at their hotline. Sing Your Heart Out At Karaoke Duet 35! A fun place to be here in New York, where you can hang-out with your friends and just have a great time. They offer some of the latest songs that were recently released and also the venue has a comfortable ambiance. You will be sure to have a fun and a wonderful time. Karaoke Duet 35 has its own full bar where you can enjoy a great selection of drinks, whether you like some soft drinks or liquor they have it all for you. So come to Karaoke Duet 35 and enjoy quality time with your friends and have an amazing time. 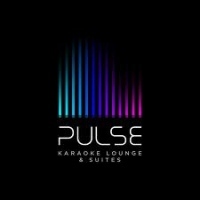 Have A Fun Party At Pulse Karaoke Lounge and Suites! Have a fun and quality time with your friends here at Pulse Karaoke Lounge and Suites, it is a karaoke bar complete with all the basic essentials. A great place to hold your party with your friends, the karaoke bar in itself has a large selection of songs to choose from and a wide range of beverages to enjoy, definitely a place to be here in New York. So come to Pulse Karaoke Lounge and Suites and have great quality time with your friends, you will definitely love it here and want to come back for more. A Place To Chill Here In New York! Come to Iggy's Karaoke Lounge & Grill where you can hang-out with your friends and have a great time. The staff is very accommodating, they will provide to you an excellent service where you will feel welcomed and well accommodated. You can have your party here at Iggy's Karaoke Lounge & Grill where they can accommodate a small group of friends or a huge crowd. So come to Iggy's Karaoke Lounge & Grill, New York's fun place to party. 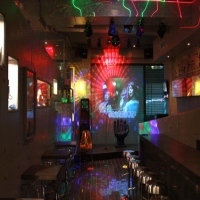 More than just an ordinary karaoke bar, it offers to give you quality entertainment. 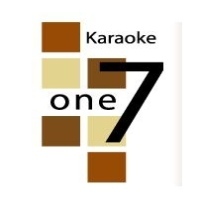 Make Karaoke One 7 Your Place Of Choice! 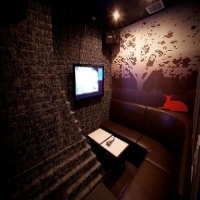 Karaoke One 7 is a one of a kind karaoke bar here in New York where you will definitely have a fun and amazing time. With it great service and a comfortable atmosphere, you will definitely enjoy hanging-out in here with your friends. Karaoke One 7 takes pride in having all the essentials in accommodating its guests in giving them a great service, also the karaoke bar has in itself a mass collection of songs where they update it with new songs every month. So have a fun and memorable experience with your friends here at Karaoke One 7. Make your reservations today and contact them through their phone number. 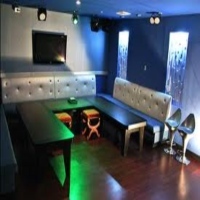 MK Karaoke is a great place to hang-out with your friends, the service is great and they the state-of-the-art facility complete with a full bar where all your needs will be accommodated. Whether you have a small gathering with your friends or a have a large group for a party, MK Karaoke is definitely a place for you. Come to New York's very own MK Karaoke located in the heart of Korea town. The venue is a perfect place for chilling-out with your friends and enjoying each other's company. Experience The Happiness And Joy Here At Gagopa Karaoke! 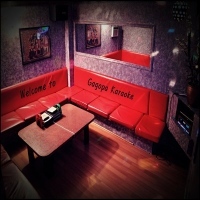 Make Gagopa Karaoke your karaoke bar of choice where you can hang-out in here with your friends and have yourself a spectacular time. 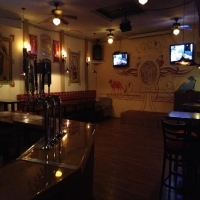 The place offers to accommodate you with its great service, amazing drinks and fun songs to sing to. Their bar has a wide selection of beverages in which you can find your favorite drinks in here. Gagopa Karaoke is a place here in New York where you will get the best time of your life. Enjoy the company of your friends and experience for yourself an amazing time here at Gagopa Karaoke. Party With Your Friends Here At Radio Star Karaoke! A fun and affordable place to hang-out with your friends and enjoy the company with each other, Radio Star Karaoke is definitely a place of choice where you can have an amazing time with your friends. Their staff is always ready to help you in your every need and also plenty of good food and beverages to choose from here at Radio Star Karaoke. It is a place here in New York where you can just get out from the hustles of the city and just have a great time and enjoy singing your favorite songs. So come to Radio Star Karaoke and make your day complete and fun. Expect More Fun Here At Planet Rose! Come to Planet Rose with your friends and have yourselves the best time you ever had. Sing your favorite songs and enjoy a great selection of beverages. 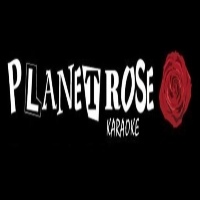 Planet Rose has it all for you, the karaoke bar offers to give you its great service and a complete amenity, you will definitely have a blast on your stay. An affordable place to have a get together with your friends. Planet Rose simply offers to you a great experience where you enjoy the fun and excitement. So come to New York's Planet Rose and have yourself an amazing and a memorable time with your friends. For more details please call them at their contact number or visit their website.